Billy Talent in Montreal or Quebec City? Inform me about the next events for Billy Talent. Enroll yourself to our priority waiting list for Billy Talent to be alerted when new tickets are available. Filling this form doesn't engage you to any purchase. Billy Talent will be back in Montreal on March 1st, 2017, for a concert at the Bell Centre ! 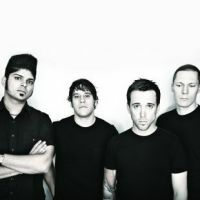 With a new album under their belt, the excellent Afraid of Heights, Billy Talent will embark on a 12-city cross-Canada tour, which will take them to Toronto, Ottawa, Montreal and Quebec City. Get ready to rock with Billy Talent, as they finally bring their act back to Montreal !